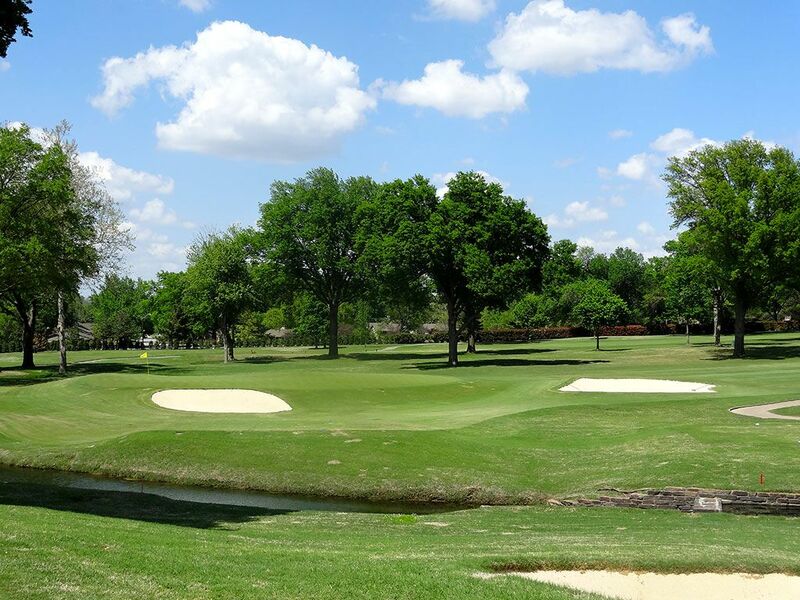 Course Website: Official Website - Visit Southern Hills Country Club's official website by clicking on the link provided. 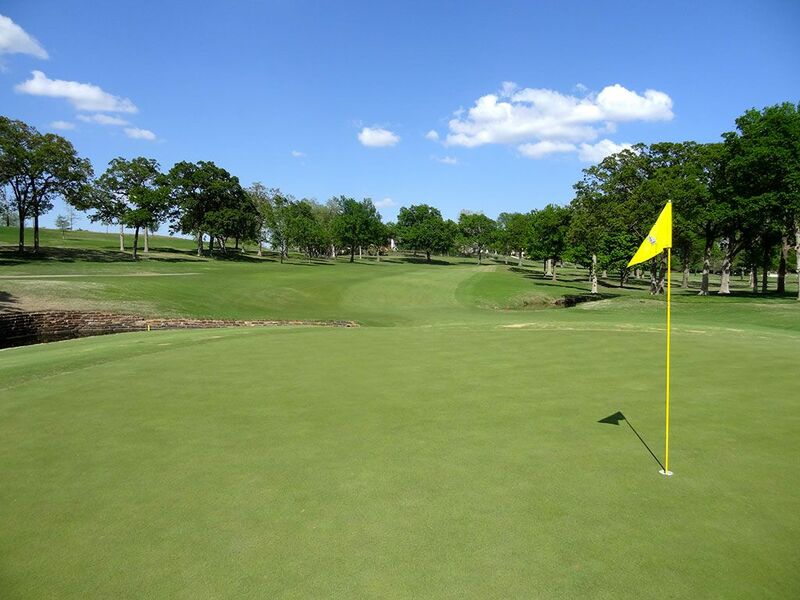 Accolades: Ranked 1st in Oklahoma on Golf Course Gurus' Best in State list. 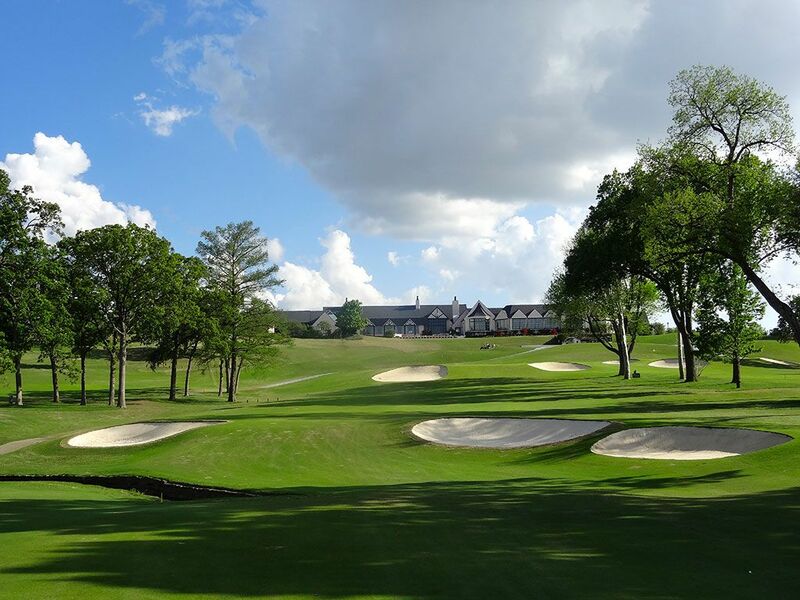 What to Expect: Other than Augusta National, Southern Hills stands alongside Pinehurst as the most historic and revered golf course in the South. With a resume that includes hosting four PGA Championships, three U.S. Opens, and a pair of U.S. 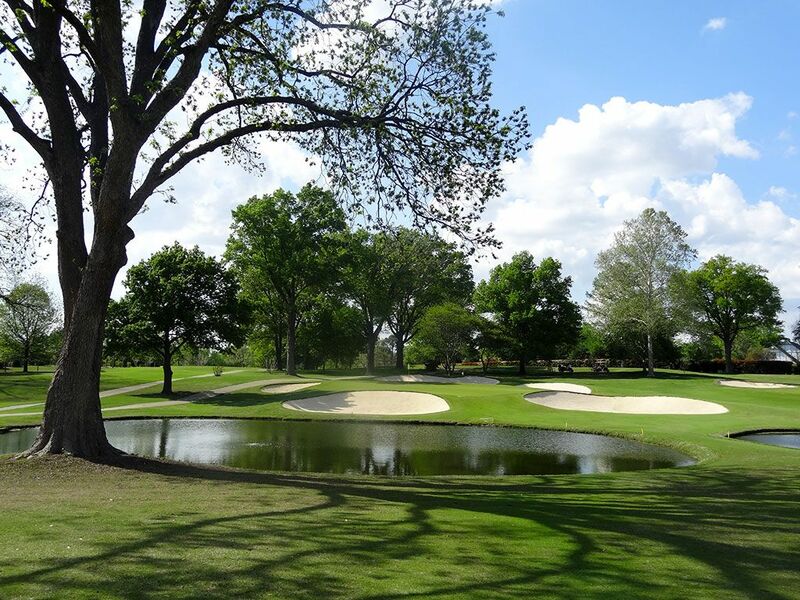 Amateur Championships, few courses can claim such a rich history with championship golf. 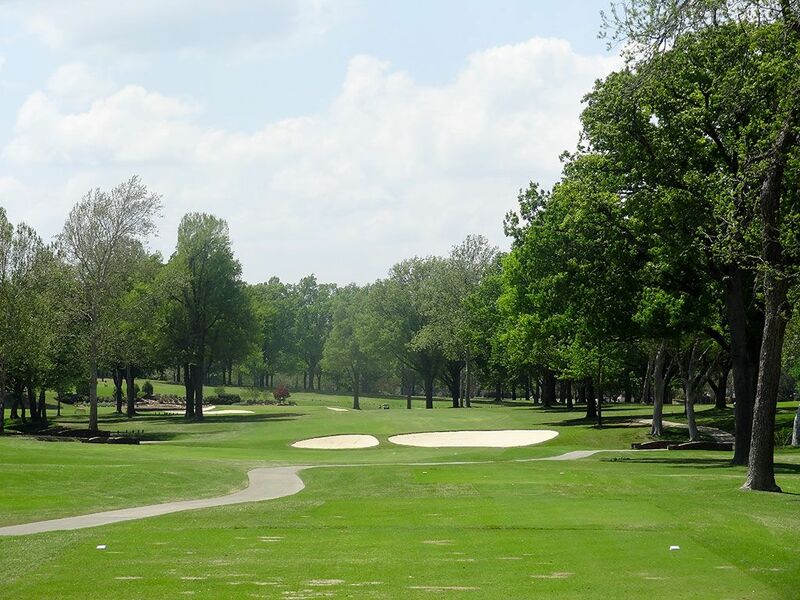 The classic Perry Maxwell design features tree lined fairways, rolling hills, and saucer shaped bunkers. 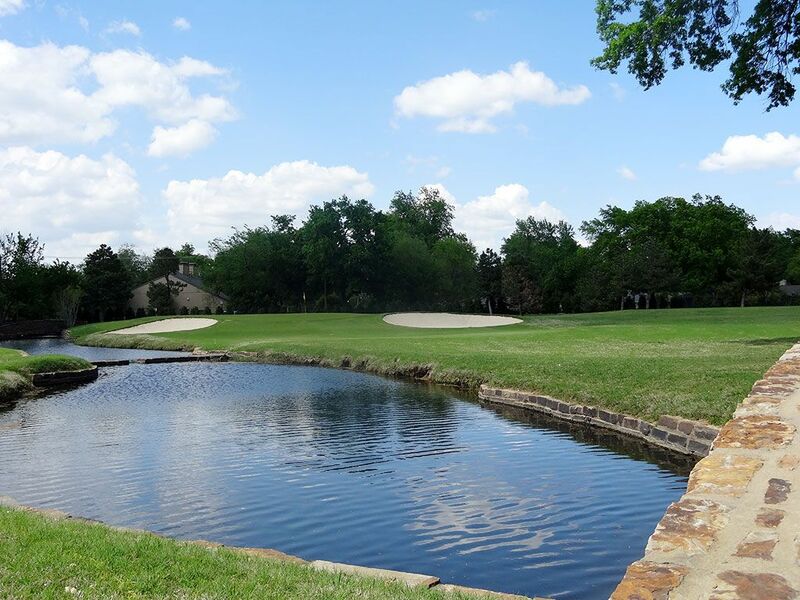 A creek meanders through the property, mainly on the front nine, while a few water hazards come into play on the back nine including at the all-world par four 12th hole. The design epitomizes championship golf by featuring a variety of lengths and shapes of holes that will likely require utilizing every club in your bag throughout the round. Many of the holes with shorter approach shots feature the most challenging greens and thus require more precision with your scoring clubs. 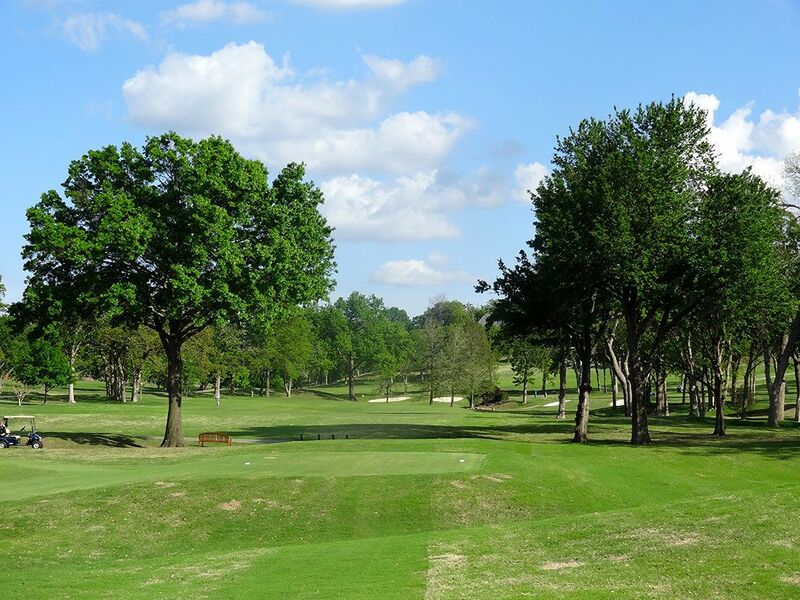 The opening hole with views of downtown Tulsa and the uphill 9th hole playing towards the clubhouse are worthy of note to be sure, but the back nine is where Southern Hills truly shines with added character, variety, and enjoyment. Caddies are provided and carts are available during your round. You'll also want to soak in the palatial clubhouse that is stock full of golf history. Signature Hole: 12th Hole – 458 Yard Par 4 – Heralded as one of the finest par fours in the country by Arnold Palmer, Ben Hogan, and others, the 12th hole at Southern Hills is a great test from tee to green. 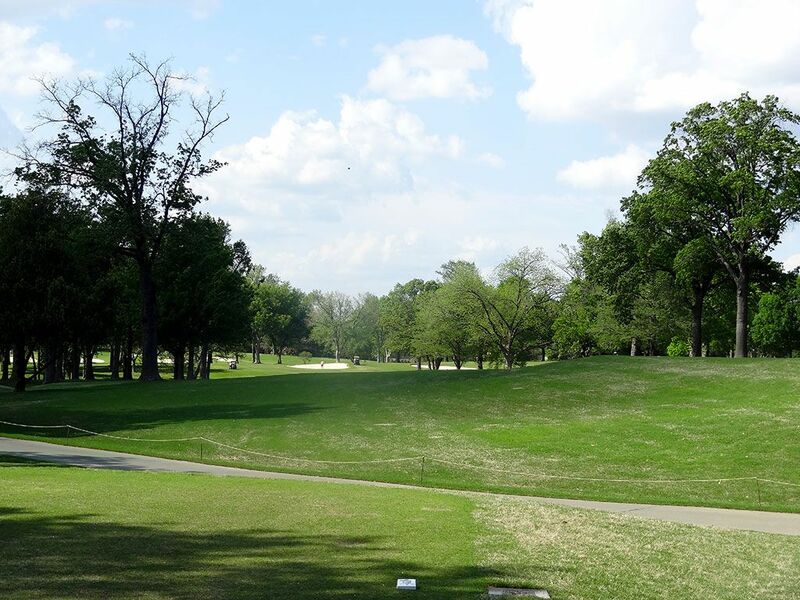 The tee shot plays to a raised fairway that is framed by trees on both sides before doglegging left. The fairway slopes from right to left towards a creek that runs up the side before cutting across the hole and to the right of the putting surface. The green is additionally protected by a trio of bunkers that start at the front left and work their way in a half-moon shape around to the back side of the putting surface. 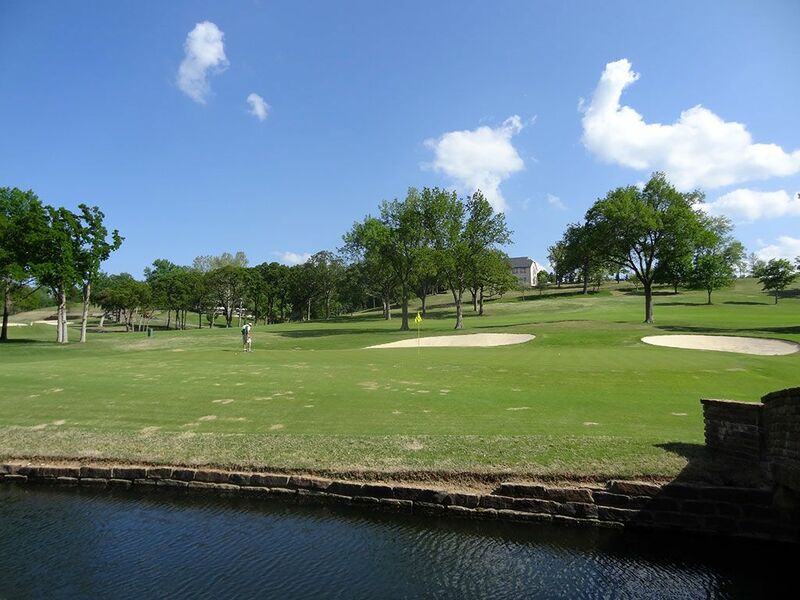 The approach shot plays over a creek to a slightly domed green that features tightly mown chipping areas around the front left bunker as well as the area leading to the water. 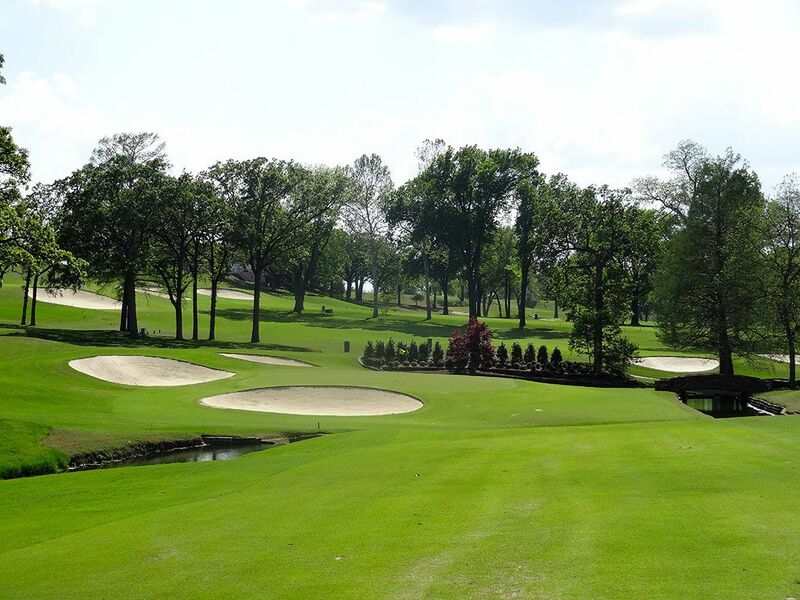 It is easily the best hole on the property and one of the finest in the Midwest. Best Par 3: 6th Hole – 200 Yards – This is the hole that Angel Cabrera wished he had never encountered during the 2007 PGA Championship. Angel, paired with fellow 2007 major champions Zach Johnson and Padraig Harrington, famously slaughtered this hole in the opening round after hitting his first ball into the bushes, re-teed and hit his next shot out of bounds, re-teed and hit his next ball into the water. Angel then took a drop, hit it on the green, and proceed to 3-putt his way to a 10. In comparison, his playing partners torched the hole by each carding double bogies. 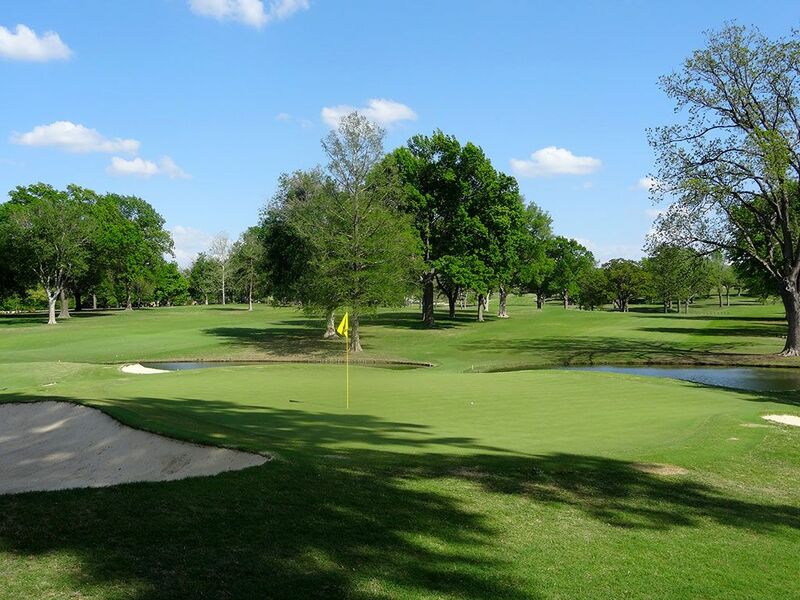 The 200 yard par three plays gently downhill over a creek to a green protected by a pair of saucer shaped bunkers and is one of the more attractive holes at Southern Hills. Best Par 4: 18th Hole – 465 Yards – As is so often the case at major championship courses, the final hole is a strong par four that will test every aspect of your game to close out the round. The dogleg right hole requires a well struck drive the stays between the trees and ideally ends up on the flat spot in the fairway up the left without chasing into the creek that encroaches in prior to the cross bunkers. 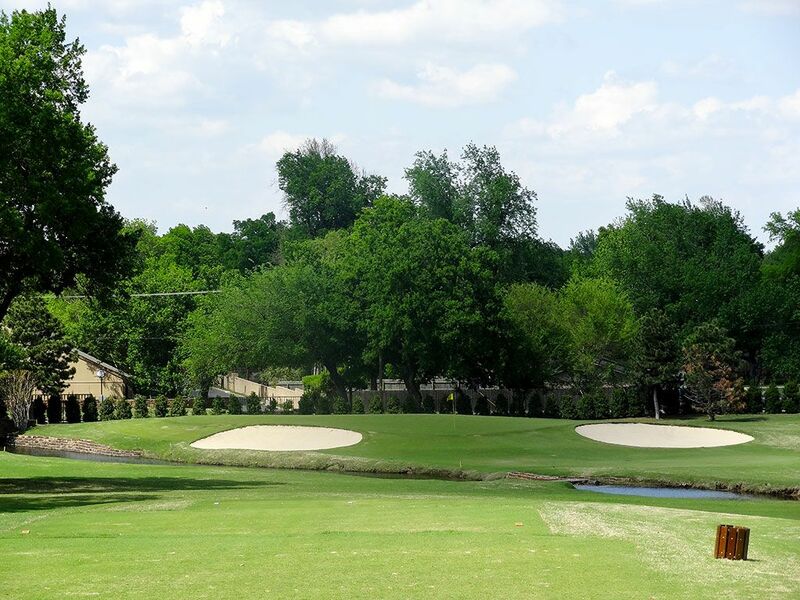 The inspiring second shot is played uphill towards the sprawling clubhouse that sits at the highest point on the property thus providing an excellent vantage point to the course's final hole. The elevated green is one of the most penal on the course as it can reject shots back towards the surrounding bunkers or down the hill. The stout slope found on the putting surface will make a 2-putt anything but routine from most locations on the green. It was here that Retief Goosen famously missed a two foot putt that would have sealed the 2001 U.S. Open. Fortunately for the South African, he was able to win the title in an 18 hole playoff the next day. Best Par 5: 13th Hole – 537 Yards – With just two par fives on the property, players should be excited about the opportunity to play this hole that features more character than most any other on the course. A full 120 yards shorter than the lone par five on the front, the 13th hole give players an opportunity to reach this green in two particularly if they challenge the slight dogleg left. A clear view of the target isn't always afforded here so players need to be aware of the two ponds that front the green as well as the circle of bunkers located around the putting surface. Getting above the hole will provide a slick downhill putt that rolls quickly back towards a chipping area squeezed between two of the fronting bunkers. High risk and high reward is the call of the day on the 13th hole which provides the best scoring opportunity the rest of the way at Southern Hills. 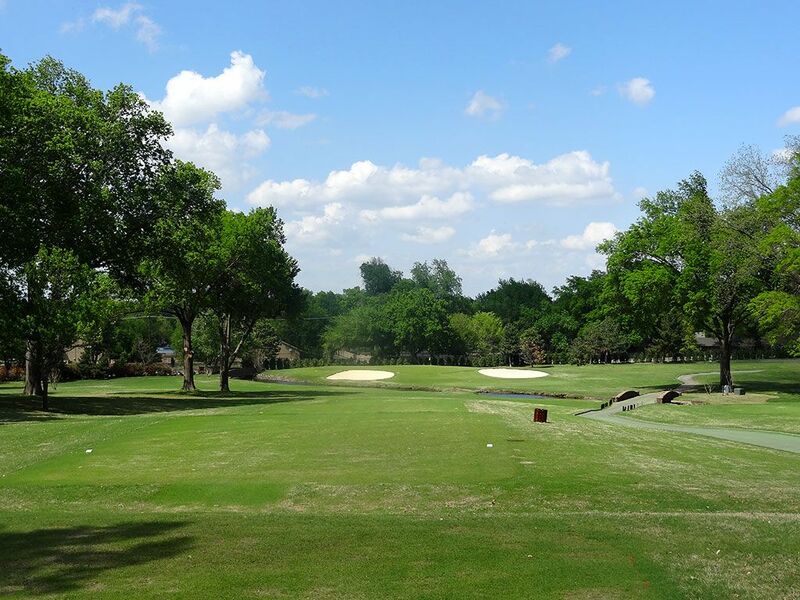 Birdie Time: 11th Hole – 173 Yard Par 3 – Southern Hills' shortest hole is also its easiest. Though the green is surrounded by four bunkers, the first par three on the back nine plays shorter than the yardage due to the elevated tee and should put a club in your hand that gives you oodles of confidence to go pin seeking. This hole has been aced more than any other on the course and thus also creates the best chance for you to card a birdie. 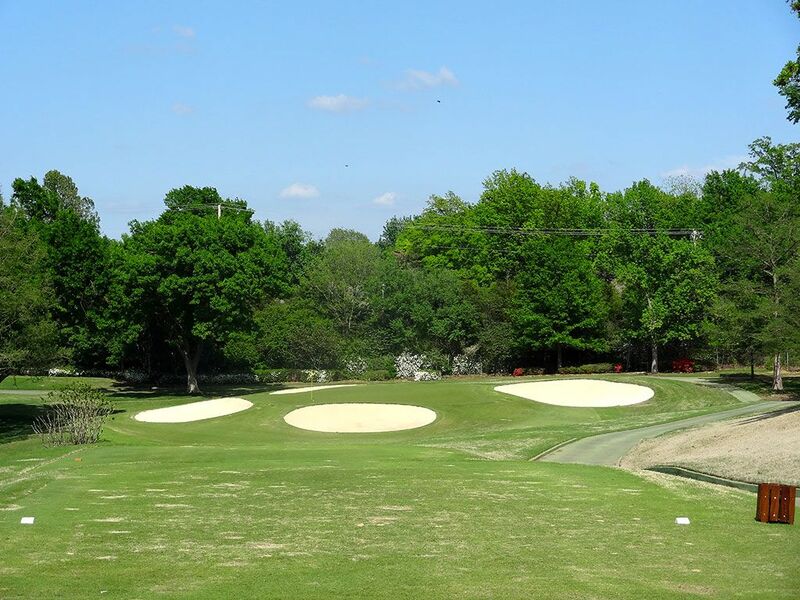 Bogey Beware: 2nd Hole – 486 Yard Par 4 – Head Professional Dave Bryan calls this the most demanding driving hole on the golf course due to the 260 yard carry over the cross bunkers and contending with a winding creek that cuts and runs parallel to the fairway. Tipping out just under 500 yards, players are faced with a long approach shot to a green that is slightly elevated above the surrounding bunkers. 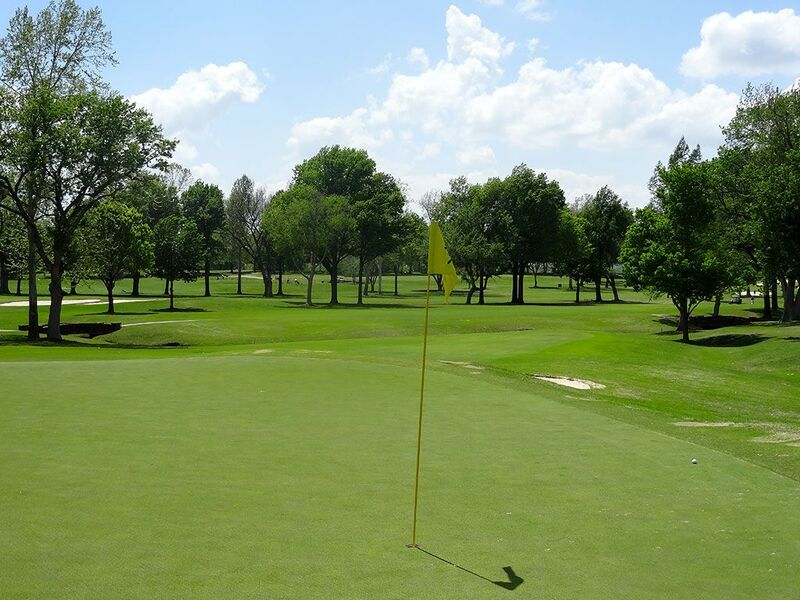 It is a challenging hole that requires two excellent shots in order to record a par.